I read this article and found it very interesting, thought it might be something for you. 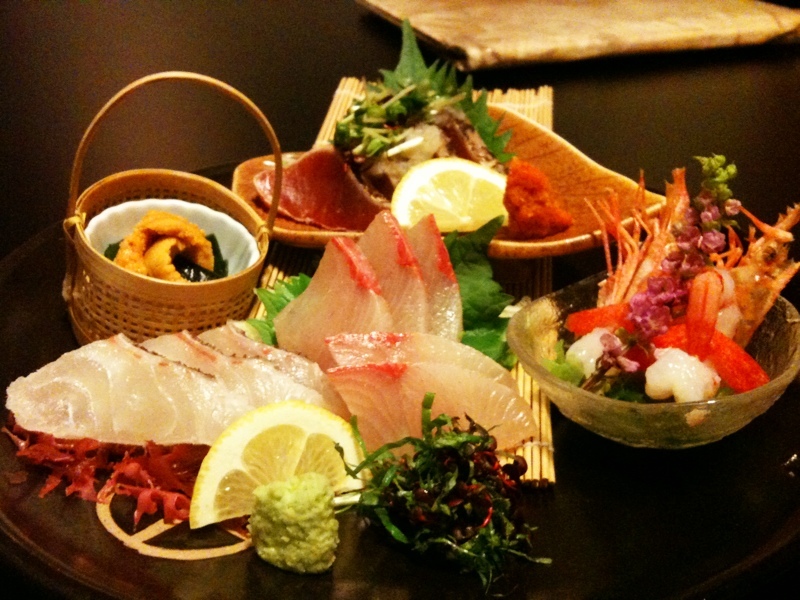 The article is called 5 Things About Ika: Sushi Ingredient and is located at http://trip-n-travel.com/listicle/12311/. Squid or Ika is a shellfish without the muscles but long tentacles that swims freely in the sea and are considered great swimmers. Ika is very stiff as compared to other fishes and makes for a nice sushi ingredient, however, it can be enjoyed in several other ways. 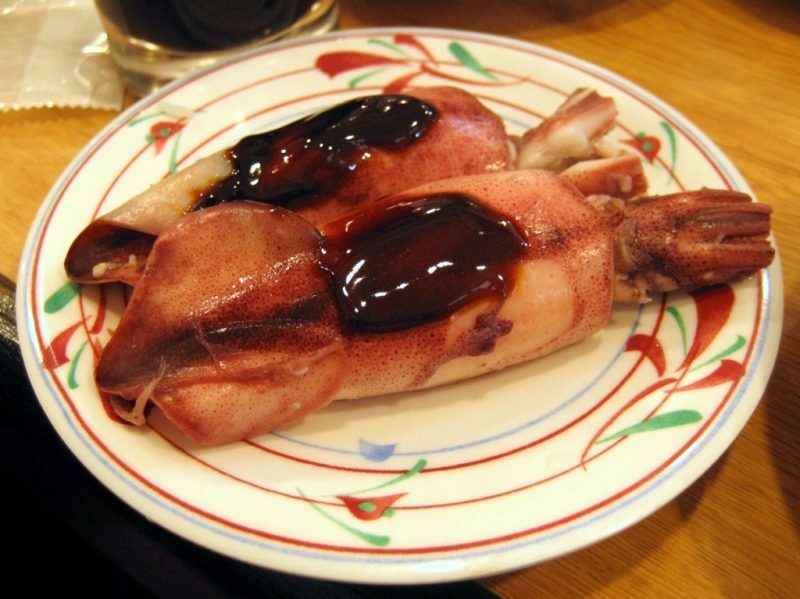 Squids are often sold as calamari outside Japan, where it’s served in many sushi restaurants. Ika (squids) belongs to the member of the class Cephalopoda, of the order Teuthida which boasts of more than 300 species. Unlike other cephalopods, squids have a distinctive structure with bilateral symmetry and they come in different sizes, ranging from a few centimeters to several meters long. The head portion bears eight arms arranged in pairs and two tentacles, really long tentacles. 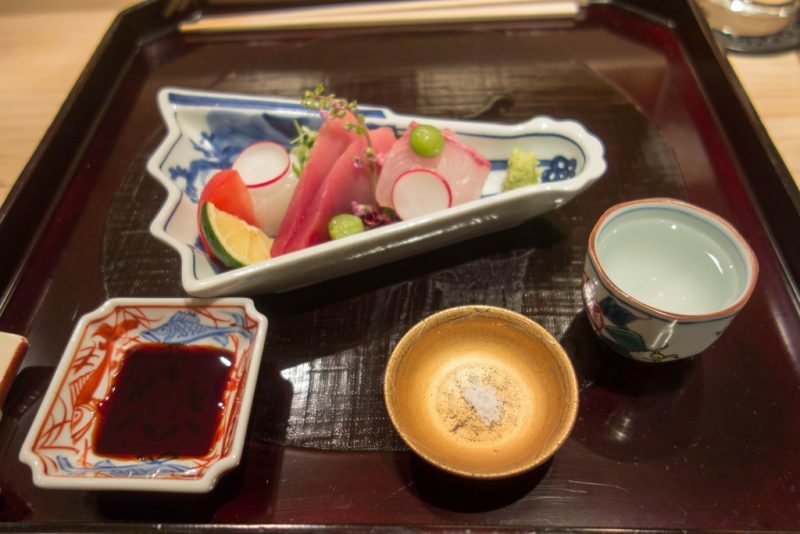 Most of the parts of their body can be used as a layer in sushi, which offers a certain sweetness to the Japanese delicacy and enhanced the flavors in just the right way. 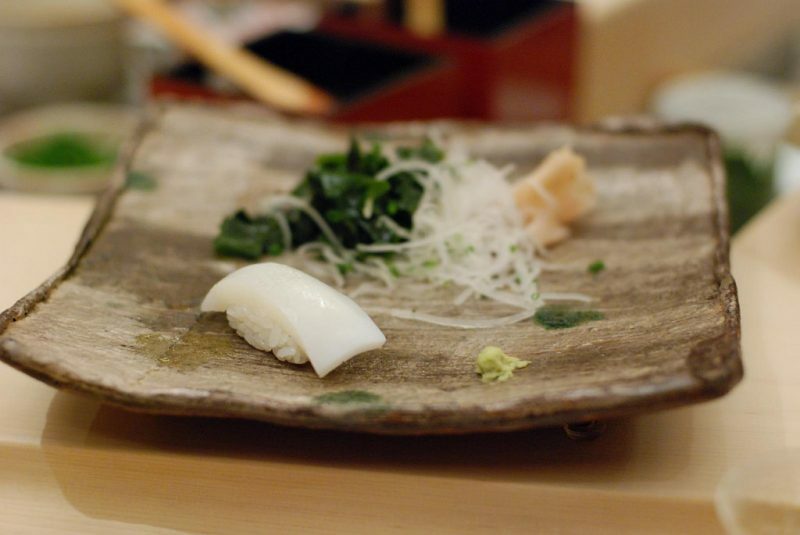 The body is prepared raw in sushi or sashimi, and the tentacles are usually poached. The more you chew, more flavors will come out. 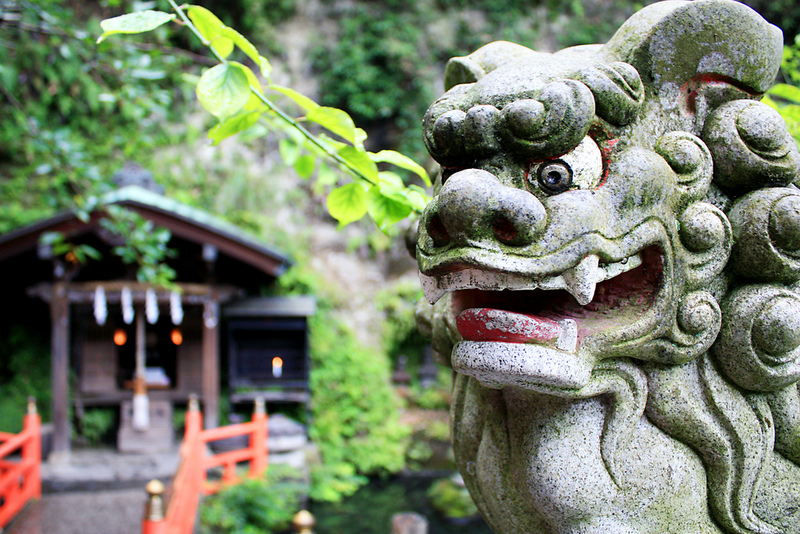 The mild creamy texture along with the enriching flavors make for a perfect Japanese delight. The body (mantle) is usually stuffed whole or cut into even, flat pieces, or sliced as rings, and is very firm in preparation but equally unique. 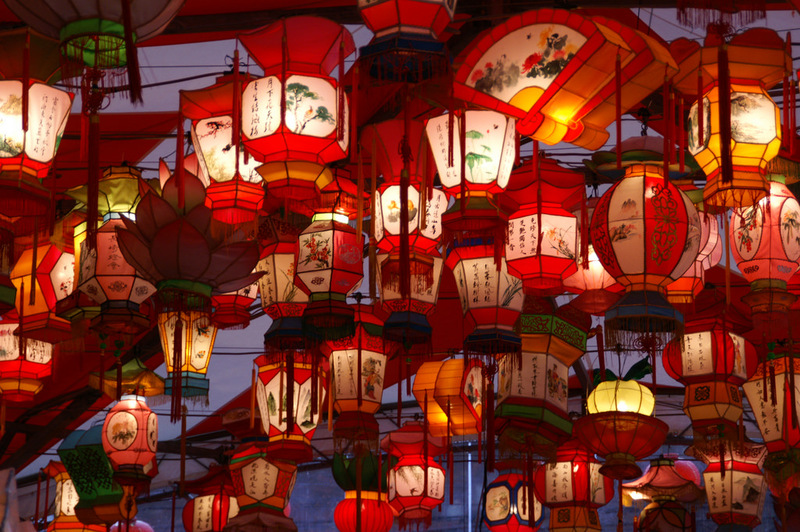 It requires a level of expertise or creativity to prepare this seasoned delicacy. Back in the good old days, squids used to be served only for sashimi or sushi recipes, but the modern cooking standards have evolved since then. 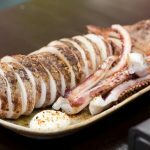 Every part of squid is edible, and you can enjoy stewed tentacles offered in most of the Japanese sushi establishments. In English-speaking countries, fried calamari (fried squid) is a popular delicacy served with salt and lemon. 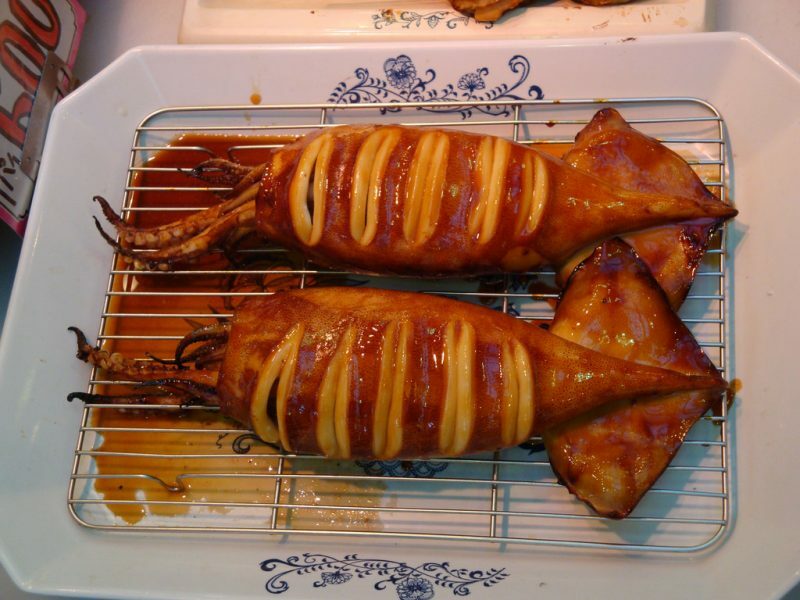 The tentacles are sometimes served grilled or as an addition in salads. Japanese often poach the tentacles for a Japanese delight called Ika geso, which is just plain deep fried squids accompanied with lemon wedges. The sashimi version of squids is equally delicious which requires squids to be sliced into thin noodles and served with a shoyu or miso. 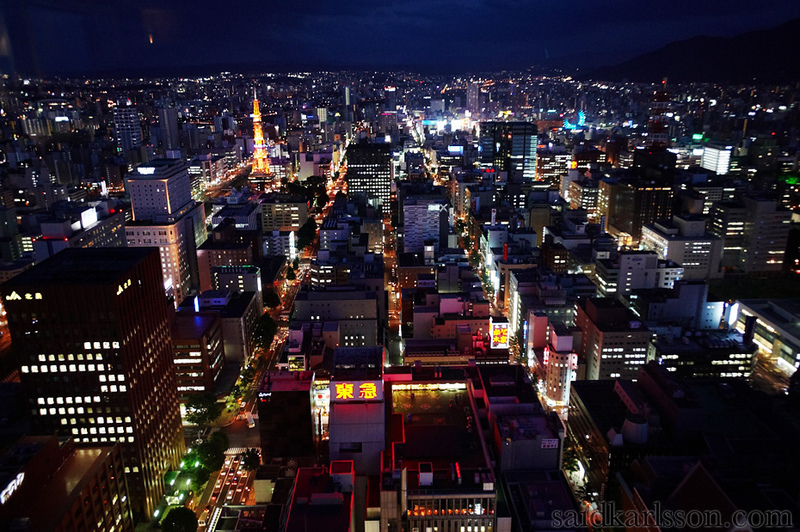 Squid sashimi is a must-try in Japan. One ounce of raw squid is rich in vitamin B12, phosphorous, riboflavin and traces of magnesium, iron, calcium, zinc and vitamin B6. Squids are also good for your heart. Squid contains almost 63% of selenium, an antioxidant which helps relieve symptoms of arthritis. It also helps with migraines and stabilizes blood sugar levels. 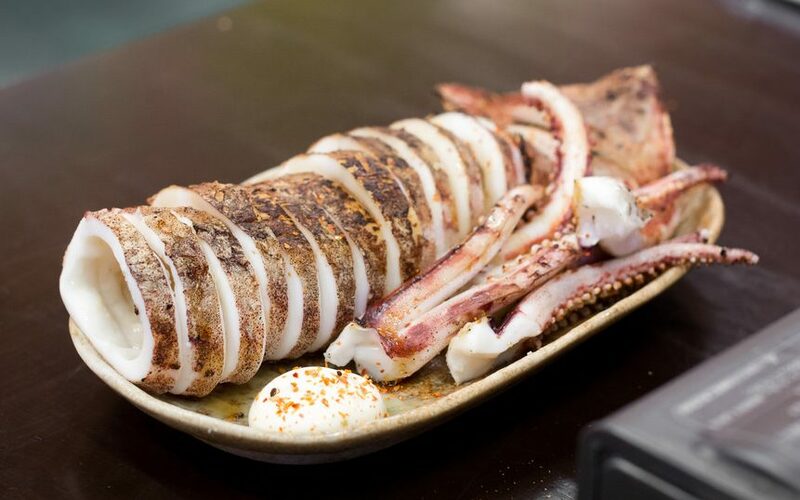 Often served grilled, squids or Ika are the most rigid of most of the seafood meat which appeals not only to the locals but also enjoyed by the people visiting Japan. It’s definitely a must-try Japanese delicacy.